The liner is an HS5-6F SFYP foam induction liner that reads "Sealed for Your Protection" on the top. Be sure to test your product with the container/cap to ensure proper compatibility. 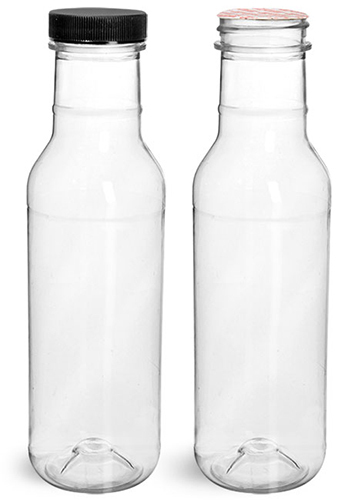 These clear sauce bottles come with black ribbed caps with foam induction liners. 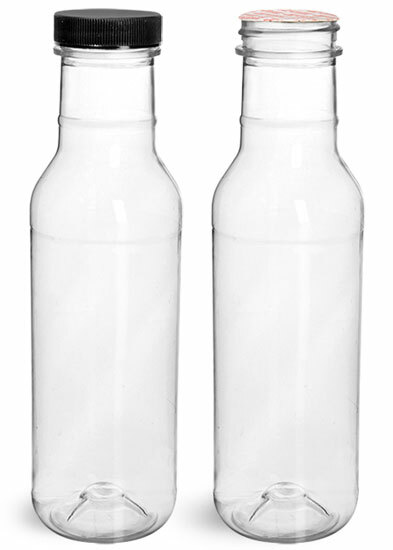 These liners create a tamper evident seal for your product when applied with an Induction Cap Sealing System.